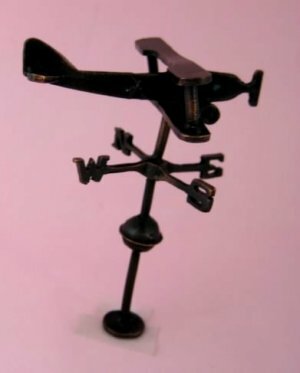 Metal weathervane with bronzed finish. Approximately 3" tall. Made in the U.S.